The Suzuki LC Concept is a two-seater powered by a 660cc 3 cylinder DOHC engine, paired to a 4-speed automatic transmission I heard. Great for zipping through Tokyo’s streets. 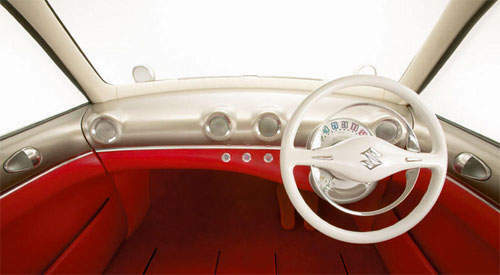 It has a funky retro interior in beige and bright-red theme. The driver’s dash area looks seriously weird to me. 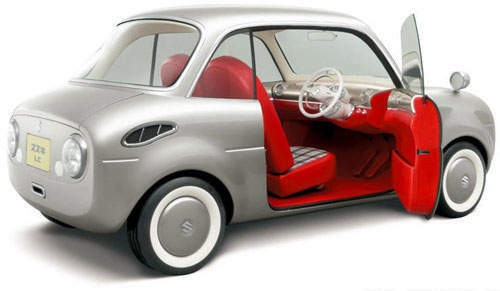 Most people would think Suzuki is just making a Mini rip-off, but the Suzuki LC Concept is actually a reincarnation of their old 1960s model Suzuki Suzulight mini car, shown above. 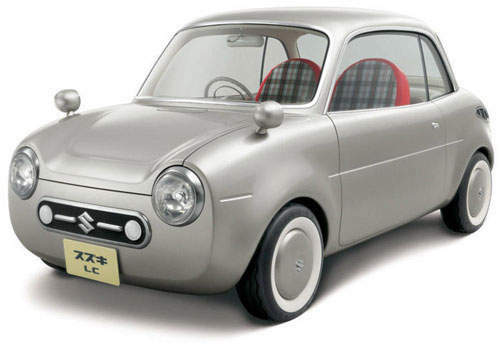 The Suzuki Suzulight was the very first car that Suzuki built. It was the car that started their business. 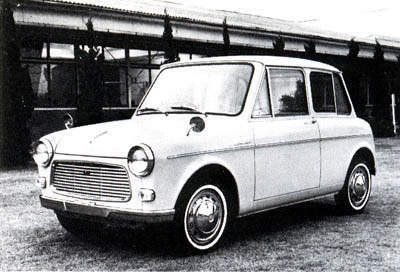 It was powered by a 2-stroke 360cc engine. I’m guessing the LC stands for Light Car.